It is time to party my friends and link up your projects! Talking about party… let me show you something! 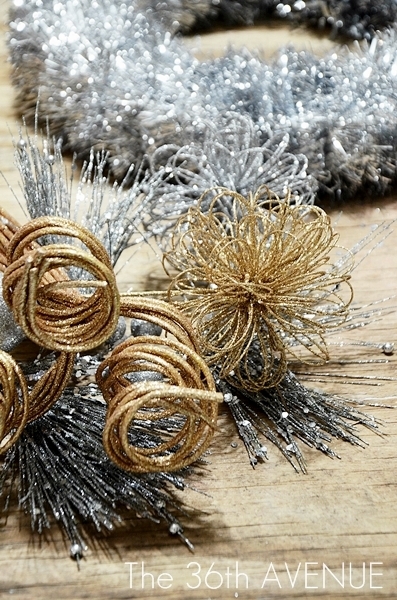 For me New Years is about sparkle, glitter, and fun. 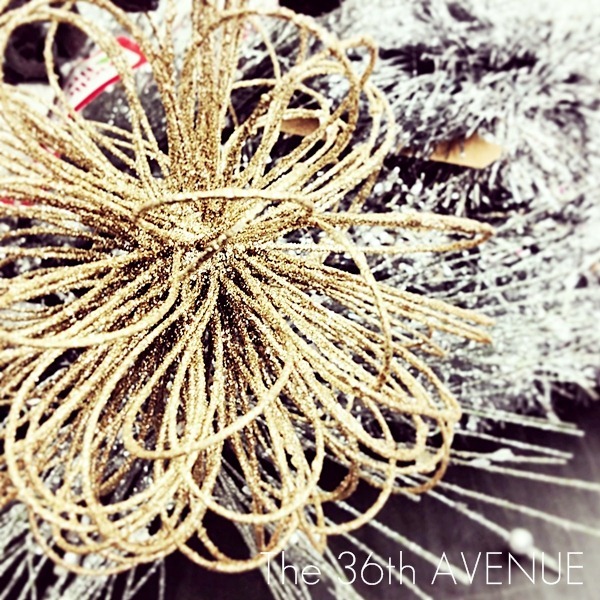 I made to decorate our New Years Party this festive Tinsel New Years Wreath. I had so much fun making this wreath. It will take you about 5 minutes to make. 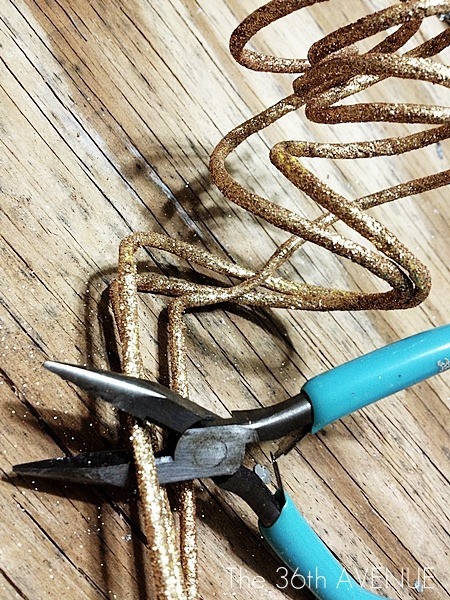 I love easy, affordable, and quick projects! You are going to need a wreath. 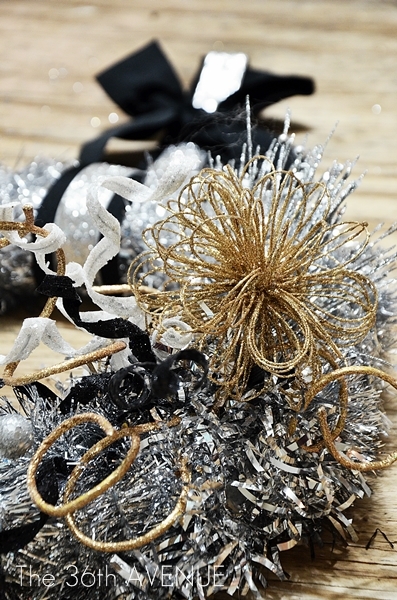 The first thing you are going to do is wrap the wreath with the tinsel garland. Pin the beginning of the garland to the wreath and simply wrap it around. 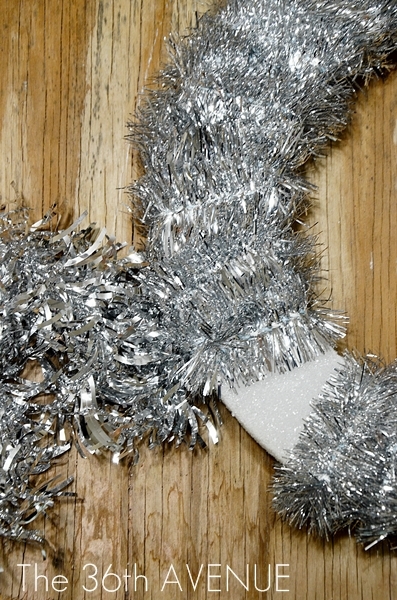 Pin the end of it and then start again with a new tinsel garland. Then it is time to get the embellishments. I found all of mine at Wal-Mart but you can even use things that you have around. I used a wire cutter to trim the end of these glitter branches. Some of them I even pulled apart into smaller pieces. Start poking them into the wreath. Start with the biggest pieces and build your way out with the smaller ones. 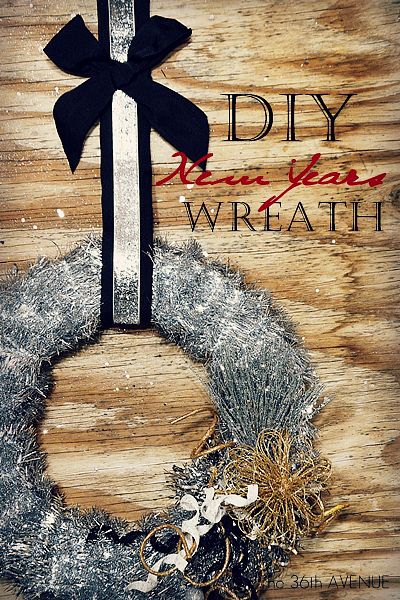 My wreath was inspired by firecrackers so I wanted it to come out a lot and have a 3D style. Before I knew, it looked just right to me! Black ribbon and this awesome metallic silver ribbon I found also at Wal-Mart. I added a small bow to the top to finish it off. So there you have it… We are getting ready to party! If you missed it yesterday make sure to check out our DIY Party Favors. 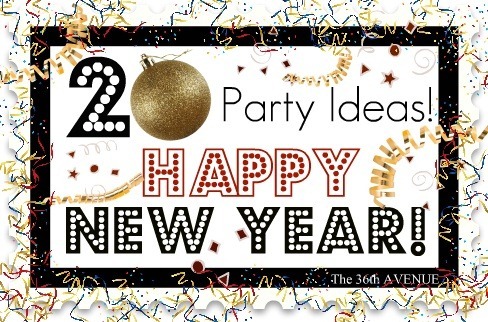 inspired by these 20 New Years Party Ideas! Now it is your turn to show me what you’ve been up to. Love this so much I went and bought garland and made one for myself! Thanks! 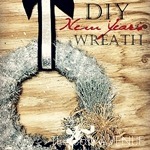 LOVE your New Years wreath!! What a great way to bring in the new year!! Thanks for hosting amazing parties and letting me share what I love to do! So pretty Desiree, love it! Thank you for hosting and wishing you a wonderful, Happy New Year! Very festive wearth. 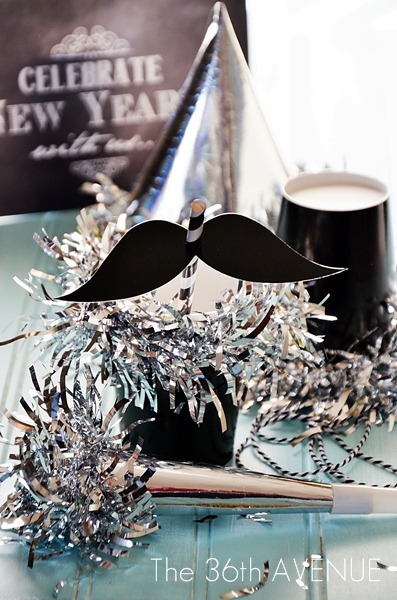 Great idea to use that tinsel. Oh so sparkly, loving your new design! 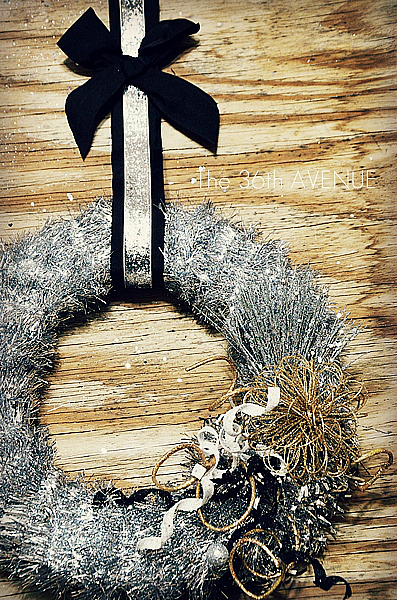 I love the sparkly New Year’s wreath!!! I also love the new blog design…very pretty and festive! Thank you for hosting!!! Desiree, Thank you so much for being so Sweet and Encouraging. Your projects are always a delight to see and I do believe each one is a reflection of You!!! Cheery, Joyful and Fun!!! You truly are one who shines through your blog. Have a wonderful and Very Blessed, New Year!! !